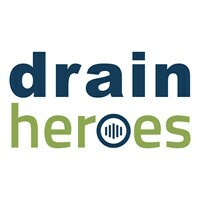 Drain Heroes - Central Heating Engineer, Drain/Sewer Clearance based in Flamstead, Hertfordshire. DRAIN HEROES are a trusted, professional company with over 20 years' experience in the trade. WE OFFER A 24 HOUR SERVICE AT FLAT COMPETITIVE RATES! We are based in St Albans and cover Bedfordshire, Buckinghamshire and Hertfordshire locations. We pride ourselves with our high level of competence and customer interfacing. We listen to our clients and act quickly and efficiently, always advising on the most effective solution while offering value for money.